Valley Regional Transit (VRT), the main provider of public transit in Boise, Idaho, has partnered with Lyft to launch Lyft Transit Connections, a program aiming to make it easier for residents and commuters to access local public bus service. Beginning January 28, 2019 subsidized Lyft rides are available to and from 14 local bus stops. Rides within the designated service area will cost a fixed rate of $2, with VRT covering up to $6 per trip. To use this service a user downloads the Lyft app, applies the program promo code, and requests a ride. 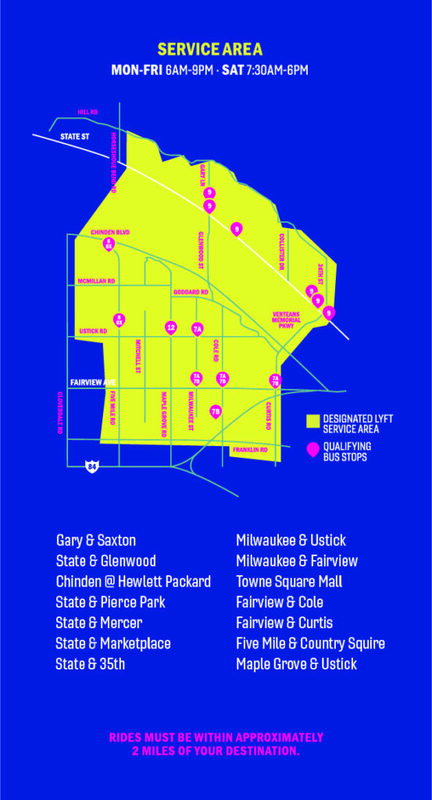 Lyft Transit Connections operates from 6:00 a.m. to 9:00 p.m. on weekdays and from 7:30 a.m. to 6:00 p.m. on Saturdays. This first/last mile pilot program is supported by funds from a Federal grant and the City of Boise.